← Which are the best principles for effective risk management? Five residents of France location in Pietermaritzburg have turned a dump site into a vegetable garden, selling and donating vegetables to the community . 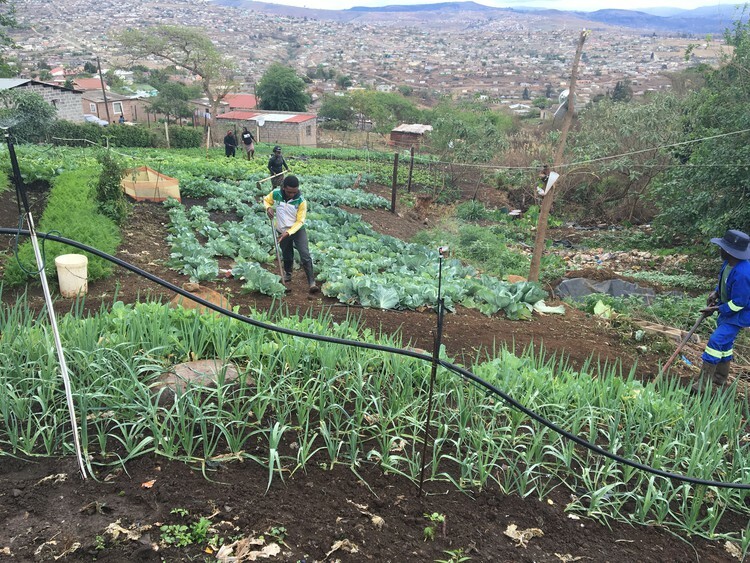 Mduduzi Hlongwane, 51, Nkosingiphile Chule, 22, Khethiwe Zulu, 29, Xolile Chule, 23 and Sindisile Stephanis, 24, are the brains behind the garden, which has become a much-needed source of food for elderly residents. Hlongwane said the initiative was prompted by the high rate of unemployment and poverty in the area, and the increasing use of drugs by young people. They grow spinach, onions, tomatoes, carrot, beetroot and lettuce. ​He said the group had made a small dam and he had spent R1,500 of his savings on a pump to water the vegetables. “No one taught us. It was through brainstorming that we came up with that idea,” said Hlongwane. “To us this is not just a garden anymore. It has become more of an agricultural course. We have learnt a lot and we are still learning,” said Nkosingiphile. Nkosingiphile said he had passed matric but his parents did not have money for further education and he had no job. Like other young people in the area he would “wake up and do nothing”. This entry was posted in Health / Survival. Bookmark the permalink.